Oregonians will be able to enjoy a free weekend of fishing, crabbing and clamming on Feb. 16 and 17 in celebration of President's Day weekend. The Oregon Department of Fish and Wildlife is promoting its Free Fishing Weekend this Saturday and Sunday. No fishing licenses or tags (including a Combined Angling Tag or Columbia River Basin Endorsement) are required to fish, crab or clam anywhere in Oregon for both residents and non-residents. Although no licenses or tags are required, all other fishing regulations apply including closures, bag limits and size restrictions. This time of year, the best opportunity will be winter steelhead on the coast, stocked hatchery rainbow trout in the Willamette Valley and mid-coast lakes, and ice-fishing in northeast and southeast Oregon. Locally, the St. Louis Ponds feature freshwater trout stocked regularly by the ODFW, though the next scheduled stocking will take place just after Free Fishing Weekend — Feb. 18-22. 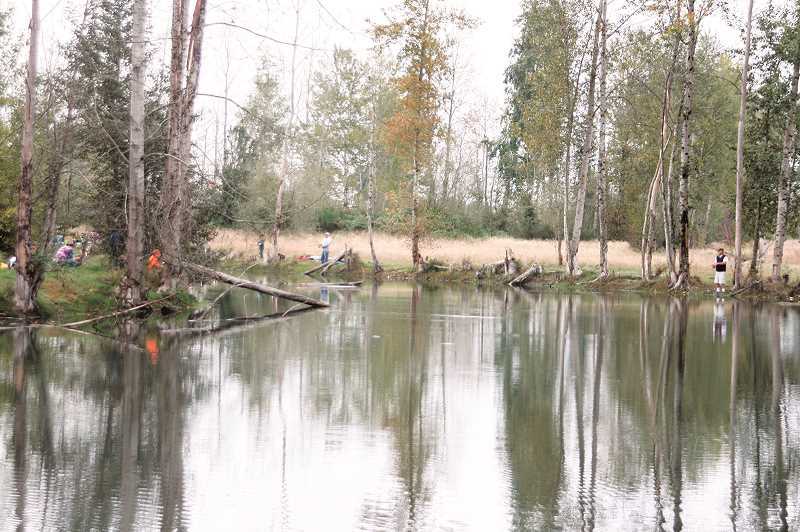 — totaling 1,342 legal fish, including 75 trophy-sized trout, which are classified by the ODFW as 15 inches or larger. The St. Louis Ponds are scheduled for another restock on Feb. 25 to March 1 that will bring in 1,950 new legal fish, 200 of which will be trophy-sized. Look for the latest on fishing conditions and regulations at ODFW's Weekly Recreation Report, which is updated every Thursday. Also see the trout stocking schedule to find out when your local lake is getting stocked with hatchery rainbow trout.